The last car we featured was a classic Volvo wagon with all of the magic unicorn attributes that classic Volvo wagon lovers tend to enjoy, but for people who thought that previous wagon was too brown and too fast, we've got this next thing...which is powered by that nasty diesel stuff and is covered in a basic shade of silver/grey. 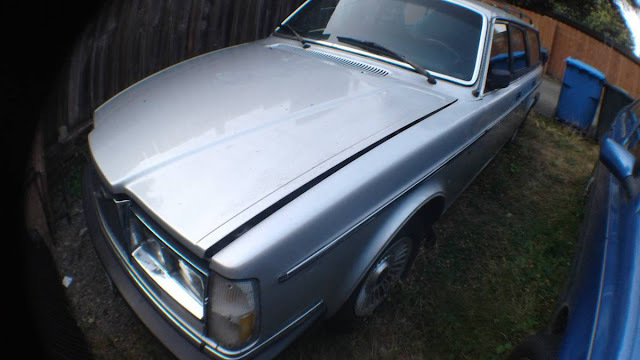 The best part about the ad, however, is the disclaimer from the seller in ALL CAPS "THIS CAR IS NOT FOR THE CASUAL CAR BUYER. SUGGEST YOU BE FAMILIAR WITH THE MID 80S VOLVO DIESEL CARS BEFORE CONTACTING ME." Oh yeah. 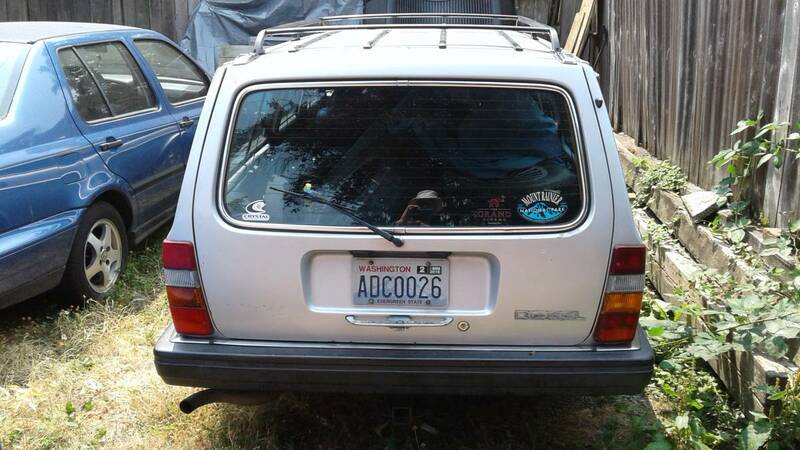 Find this 1984 Volvo 245 Diesel Wagon offered for $2,500 in Tacoma, WA via craigslist. Tip from FuelTruck. THIS CAR IS NOT FOR THE CASUAL CAR BUYER. SUGGEST YOU BE FAMILIAR WITH THE MID 80S VOLVO DIESEL CARS BEFORE CONTACTING ME. Prefer a LOCAL BUYER....easier to do face to face for me. Firm on price. Will renew ad until sold. I wonder if the acceptance process to buy this car is a written or oral test? Multiple choice? Do I need to bring a blue book and a #2 pencil? I didn't study all term, I better start tonight. Isn't a pre-'85 diesel smog-exempt in California? If that's the case, this thing is begging for a small-block swap. I think the cutoff is pre1998 in CALi means no smog on an old diesel. Yes, this car is a good swap candidate. True, but this car is actually more rare and interesting as a diesel. It would be a shame to mess with it, even if it is slow and noisy. These diesels just don't pop up much, even at Volvo meets. DT never seems to have trouble finding swapped Volvos though. They're out there. My vote is to preserve it as-is, but I like slow cars and I have a stock Volvo 144, so I'm biased. Here's a question for you: Which vehicle is more in the spirit of Daily Turismo, a stock Volvo diesel wagon or a small-block-swapped Volvo wagon? Seriously, I think it's a tough call between the two. I had one of these, exactly the same except blue. 1984 240 Diesel wagon with a manual. Interesting...sure, in that it had some quirky charm. But I'd have only considered keeping it stock if I lived on a ranch and I could just putt around at 10mph all day. It was PAINFULLY slow. I did the car a favor by pulling the D24 and never reinstalling it. The spirit of Daily Turismo is to drive a fun car on the cheap for a few years, sell it for the same price you bought it, and then move on to something else. I love Volvo 240s but the diesel is a penalty box. Not fun unless you have zero traffic around and a long time to get up to speed.